I have the expectation that several companies are interested in increasing sales in the US and even more have no access to the US Market and will be interested in discussing opportunities. In a continuing effort to search for brands with a unique presence in the global marketplace, Mr. Fabio Stallino of Nutritional Products International has been appointed to attend Vitafoods Europe in Geneva, Switzerland to meet manufacturers looking and facing challenges pertaining to entering the United States market. Nutritional Products International is a leader in importation, distribution and promotion of nutraceutical and cosmeceutical brands entering the United States. 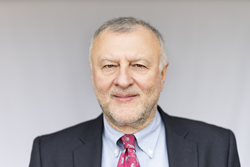 Stillitano, from NPI’s office in Switzerland, has 30-plus years experience increasing revenue in companies in the healthcare, nutritional and cosmetic industries throughout Europe and has been a key marketer for Jafra Cosmetics, Avon Cosmetics, Revlon, Bayer, Framitalia Carlo Erba and Sterling Drug Group. Vitafoods Europe is a 3-day event being held from May 10-12 at the GENEVA PALEXPO. Vitafoods Europe is the global nutraceutical event, featuring exhibitors from all over the world in four key market areas: ingredients and raw materials; finished products; contract manufacturers and private label; and services and equipment. The event brings together more than 850 of the most innovative global suppliers and 16,500 senior decision-makers who are looking to source nutraceutical ingredients and raw materials, services and dietary supplements from businesses at the show. With Stillitano attending and representing Nutritional Products International, exhibitors now have a bridge to the United States market with their product lines and an ability to get FDA and USDA certifications. The Evolution of Distribution is a turnkey solution that enables companies from abroad to enter the U.S. created by NPI CEO Mitch Gould. It’s a systematic approach focused on every service component a foreign company needs to be successful in America, including importation, distribution, and promotion. Gould has worked with many of the world’s top professional celebrities and athletes, including Chuck Liddell, Ronnie Coleman, Steven Seagal, Wayne Gretzky, Hulk Hogan and Roberto Clemente Jr. among others. “Here at NPI we are always searching for the most unique products on the globe. The attendees and quality of products at the show has increased every year, making it an ideal event for our team to procure extraordinary products to bring to the US Market,” said NPI CEO Mitch Gould. Headquartered in Boca Raton, FL, Nutritional Products International (NPI) is a privately held company staffed with a complimentary team of marketing professionals that specializes in retail distribution of Nutraceuticals, Dietary Supplements, Functional Beverages, and Skin Care Products. NPI offers a unique proven approach for product manufacturers world wide seeking to launch or expand distribution of their products in the U.S. retail market. For more information, please visit http://www.nutricompany.com.